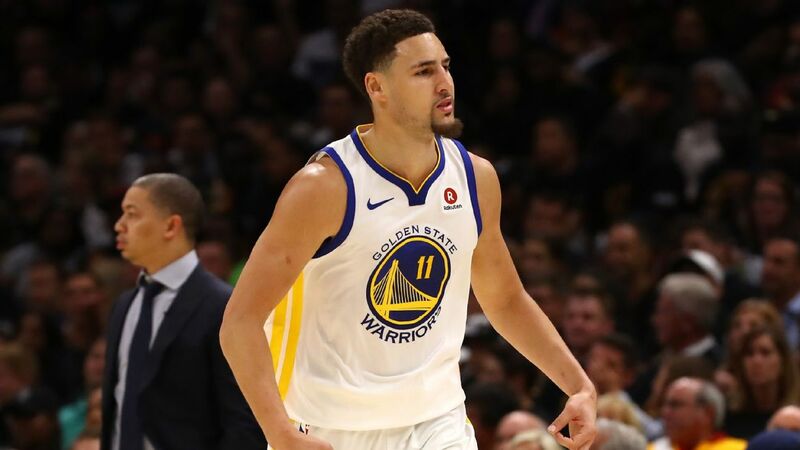 OAKLAND, Calif. -- All-Star swingman Klay Thompsonagain made it clear that he would like to stay with the Golden State Warriors for a long time and is cherishing the current run he and his teammates are on as they enter the collective prime of their careers. "It's awesome," Thompson said after Thursday's practice. "Makes you want to win now, though, that's for sure. Makes you want to make the most of it. I think we have in the last two years. "It's crazy because we are back-to-back champs, but at the same time I feel like we're all relatively young and we can still get to another level and keep winning. Not just this year, but years beyond. Not a lot of guys can do that with their team. So I love coming to work every day because I realize this is a special group and a special time to be a Warrior." When asked if he would be weighing in that factor more heavily as he approaches free agency this summer, the 28-year-old didn't hesitate. "Yeah, definitely," Thompson said. "I think it would be stupid not to be. It's hard to walk away from something -- you were here when it started and yeah, you just want to stay on the train as long as you can." The topic of just how long the Warriors' run can continue has been a constant throughout the first few days of training camp. Having won three of the past four NBA championships, head coach Steve Kerr says he wants his players to understand just how special their run is, even as the uncertainty surrounding the futures of Thompson and All-Star Kevin Durant hovers over the organization. "It's rare," Kerr said. "We know we have a bigger window than most teams do in this position. That's the benefit of winning in 2015 with a very young team and gaining that experience. Obviously adding Kevin. This has been an incredible run that's going to be very difficult to match. But we want to just keep it going for as long as we can. We don't spend a lot of time thinking about where we stand historically; we're just enjoying the process." Since Monday's media day, the constant mantra from both players and coaches is to enjoy the moment and embrace the journey toward another potential crown this season. "We've had some success and when you have some success in the NBA it's just always a great time," Durant said. "This stuff comes and goes so fast. Me and Steph [Curry]were talking, you look up and you're in double-digit seasons in the NBA after feeling like we just got drafted, so things happen so fast I think we're all just enjoying the moment, not really thinking about anything else. It's good that we're all young and experience this. It's only going to make us better in the future." As far as his own future is concerned, Thompson says he is confident he will be able to stay with the team he loves. He knows he'll probably get asked about his future many times as the Warriors travel through the league, but it appears as if he'll have a similar response. He doesn't care about the chatter because he knows where he wants to be. "It's just how I feel to be honest," Thompson said. "This place, it's home. I love living in the Bay Area." Klay Thompson calls San Francisco home as he fields questions about his free agency coming up next summer. Draymond Green says as a leader Kyrie Irving should believe Boston can beat Golden State in the NBA finals. Charles Barkley wishes Kevin Durant would just play basketball instead of constantly whining.